I was delighted to be invited to the launch of Robin Poke and Kevin Berry’s book, Olympic Gold: Our Greatest Individual Olympians Since 1896. The launch took place in the Conference Room at the National Library of Australia. Senator Kate Lundy, the Federal Minister of Sport, launched the book and made it a delightful local, national and international event. The Booktopia Blog has a detailed post about this lavishly illustrated book. 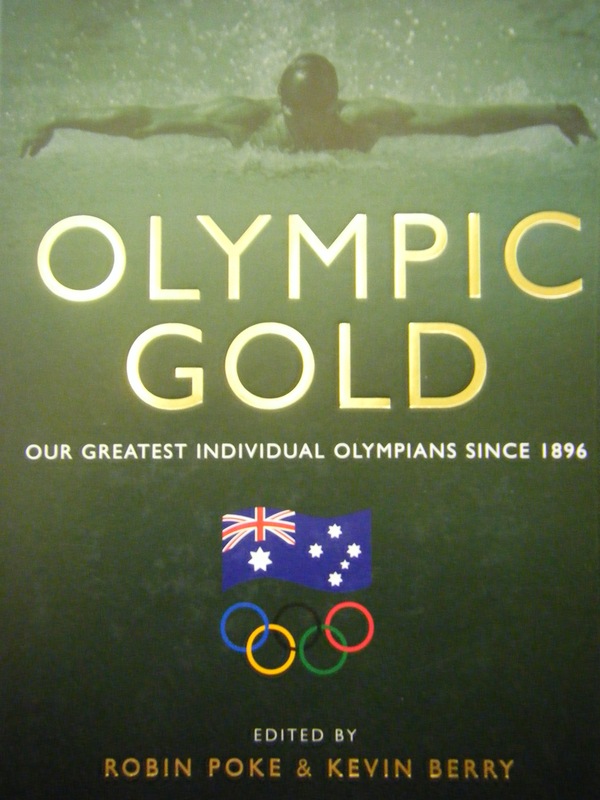 In Olympic Gold: Our Greatest Individual Olympians Since 1896, Robin and Kevin follow the inspirational journeys of Australia’s seventy-four individual Olympic gold medalists, at the Summer and Winter Games. The stories of these Olympians have been written by a variety of authors ranging from journalists to family members to the athletes themselves. There were four of the seventy-four gold medalists at the launch and a number of contributing authors. Thanks for the great plug, Keith! Much appreciated. The national launch in Sydney on Friday, 15 June, went equally well. John Coates did the launch and there was a heap of media, so that should help, too.